You may have heard a lot about pimping out your car, but how about your boat? Have you considered making it into the most stylish watercraft it can be? The following are some things you might want to install in your boat to make it into a remarkable ride that no one will forget. One thing you can start with when pimping out your boat is the furnishings. There is modern furniture of all kinds that can be used below decks in a boat to turn it from something ordinary and prosaic into a masterpiece of marine décor that will impress anyone. 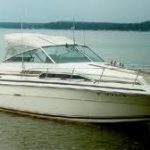 If you own only a small or midsized motor boat with no interior space, consider replacement boat seats and other on-deck items. Also keep in mind that furnishings include things like window dressings, artwork, and rugs, all of which can be modern looking or in any style you want. Another whole area to consider is entertainment. You want to put some stunning and impressive entertainment systems in the boat as an activity as you cruise the high seas. Stereo sound is a great start. This can often be integrated with the television system into an overall package that offers great sound and video quality. Consider getting subwoofers and high quality satellite speakers that can be connected to the receiver or amplifier for both the television system and the CD/mp3 player. Again, these are often combined in one unit, so to save space and avoid having too many components, look for receivers that can play CDs and the radio along with DVD and satellite broadcasts. The highest level of boat entertainment and class is onboard satellite television. For the actual television set itself you should consider high definition ready sets such as plasma and LED flatscreens. As far as the broadcast goes, you might think about getting satellite service channels such as DirecTV. With DirecTv Sunday Ticket, you can enjoy NFL action even when you're out on the water! Try mounting the TV on a sharp looking entertainment center if there is room for one and it can be stabilized well. Often a good idea is to mount a TV monitor on the wall. This will help stabilize it in case of rolling waves. Other components like DVD players and receivers can be put on shelves of desks or other furniture that attaches to the wall, again for good stability. Computer functionality can be combined with all this as well, by using a desktop or laptop model and sending its signal to your wall-mounted flat screen. It is always a good idea to save space on a boat, so, wherever possible, go for integration of this sort. 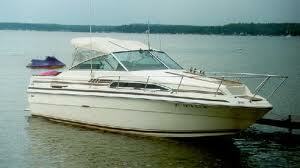 You can make your boat more enjoyable by installing equipment for other more physical types of activities and fun. You could, for instance, install a fold out diving board or a water slide on deck. When the boat is at anchor, these can be a lot of fun. Jump into the ocean for a swim in high style. Kids and adults alike will love these sorts of water play items.